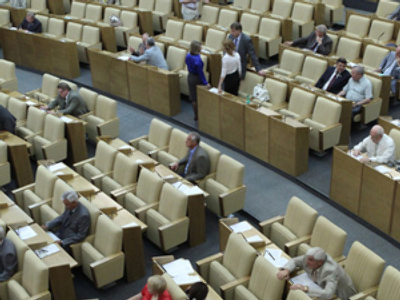 Deputies of the State Duma have returned to work after holidays as a new order will regulate their attendance at plenary meetings. Since Monday the deputies of the parliament’s lower house have been working in their constituencies in regions. The official opening of the autumn session is scheduled for September 7. The parliamentarians will have to get used to a new working order and schedule. Each month they will spend a week in their constituency to meet voters; another week will be devoted to work in State Duma committees and commissions. Plenary meetings will be held three times a week: on Tuesdays, Wednesdays and Fridays. Earlier the deputies gathered for plenary meetings only on Wednesdays and Fridays. A new work order was discussed at the previous session to force deputies to attend plenary meetings. 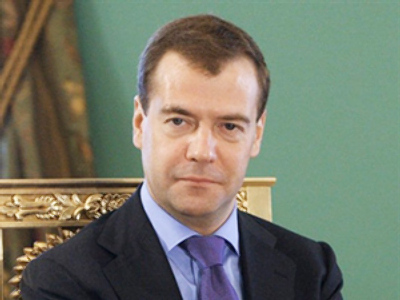 In April, President Dmitry Medvedev highlighted the problem of “empty seats” during the Duma meetings. In June, meeting with leaders of parliamentary factions, Medvedev also spoke about deputies’ discipline. 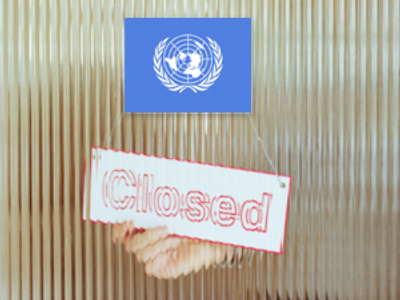 “This is an internal issue, but it also has a clear political dimension,” he stressed. In May, the bill banning the consumption of alcohol before driving was passed with 449 votes, even though only 88 deputies were actually present at the session. The ruling United Party then decided that the best way to improve the situation is to change the law on the deputy’s status and regulations of the parliamentarians’ work. The amended law on a deputy’s status is expected to force deputies to participate in the voting. 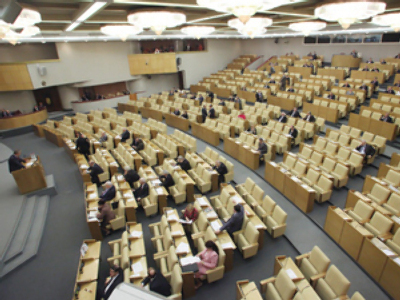 All deputies of the State Duma will be obliged to attend its plenary sessions, State Duma Speaker Boris Gryzlov said. Deputy speaker Ivan Melnikov, representing the Communist Party, suggested that deputies should not be paid for working trips if they coincide with plenary sessions. Those deputies who attend this session’s meetings will have a lot of work, the media say. Among the key draft bills to be considered is the budget law, the law on police and the package of bills on the Skolkovo innovation center. The parliamentarians will also discuss the ratification of the new Russian-US treaty on strategic arms reduction. Arguments on all these questions are expected between United Russia and the opposition factions of the Communists, the Liberal Democratic Party and the Fair Russia party, Vzglyad online newspaper said. The draft bill on new regulations concerning deputies’ work may control parliamentarians’ attendance, but it does not contain sanctions for breaking the rules, the paper noted. The decision of this issue was delayed until the autumn on the opposition factions’ requests, it added. Heated discussions are expected over the Skolkovo project, Aleksandr Kogan, deputy chairman of the Budget and Taxes Committee, told the paper. The Duma will consider this issue in the second reading, and new amendments will be added to the bill, the paper said. The project will have privileges concerning its legal and tax status. As for the ratification of the new START treaty, Gryzlov noted in June that it was “an issue of the autumn session.” He added that Russian deputies want to consider the issue synchronously with their America colleagues. However, head of the Duma’s Foreign Affairs Committee Konstantin Kosachev later said that the Russian deputies will be the first to ratify the treaty. The State Duma is also expected to consider the amendment to the law on regional legislative and executive bodies to eliminate “the president” title from names of the republics’ heads. The deputies will remember the natural disasters that happened this summer, to correct the draft bill on the budget and support finance measures enhancing security in such emergency situations, Rossiyskaya Gazeta daily said. One of the first draft bills considered by the State Duma will be the government’s proposals to amend the law on defense of the population and territories from natural and technological threats, the daily said. The amendments will allow federal and regional bodies to take quick decisions concerning material assistance to people in such situations.